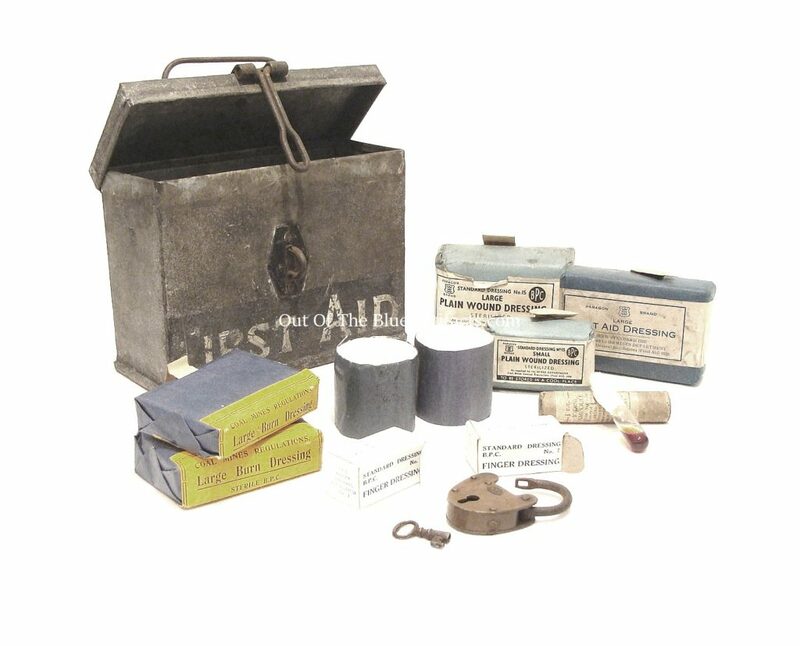 A Miners First-Aid Tin and original padlock & key, from Fife, Scotland. Made from Tin. Size 6″ x 5″ x 2 1/2″ inches. 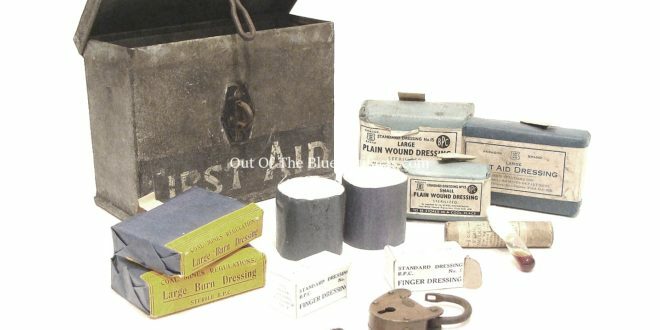 The First-Aid Tin has some of its original contents, 2 Large Plain Bandage, 2 Medium Bandages, 1 Small Plain Bandage, 2 roll Bandages, 2 Finger Bandages made by Paragon Brand. 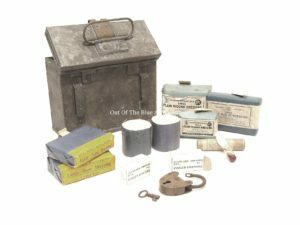 Mines Department Coal Mines General Regulations, First-Aid act 1930. 1 Iodine Ampule made by Cuxsen Gerrard & Co Oldbury. It has a carrying handle and has belt hoops at the back (as seen in the image left).